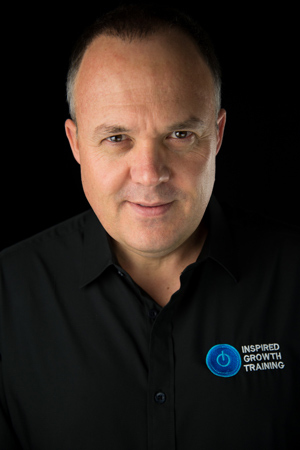 Darren Hunter is a national and international property management trainer, expert and leading industry authority in fees and overcoming fee discounting. A consultant and trainer now for over 11 years, Darren has previously worked as the state (network) property manager with one of Australia’s most respected real estate brands – recruiting, training, implementing policies and procedures and managing 28 property managers in 18 regional offices over South Australia and the Northern Territory. In 2006 he wrote the national property management policies and procedures for the third largest rent roll in Australia. Darren presents seminars around the country ranging in topic from; new business and fee justification scripts and dialogue, rent control and time management strategies, rent roll value and income maximisation, market fee updates, inspections, tenant selection, recruitment and correct interview technique plus many more ‘hot topic’ property management training sessions. Michael (together with his wife Catherine) ran a rent roll with 600 properties over 84 suburbs spread over 3 states, and at one time boasted a 0% vacancy rate for 2 years running! An amazing feat indeed! This was done using a number of ‘out of the box thinking’ strategies also using social media and technology to show case properties in a way that attracted and fast tracked quality tenants much quicker than his competitors. Michael’s passion for systems and technology has seen him grow small to medium businesses with exceptional pace. Identifying strengths and outlining weaknesses inefficiency, Michael’s approach has been highly successful when building businesses from the ground up using systems to improve time and output, ultimately delivering the best experience to the customer. 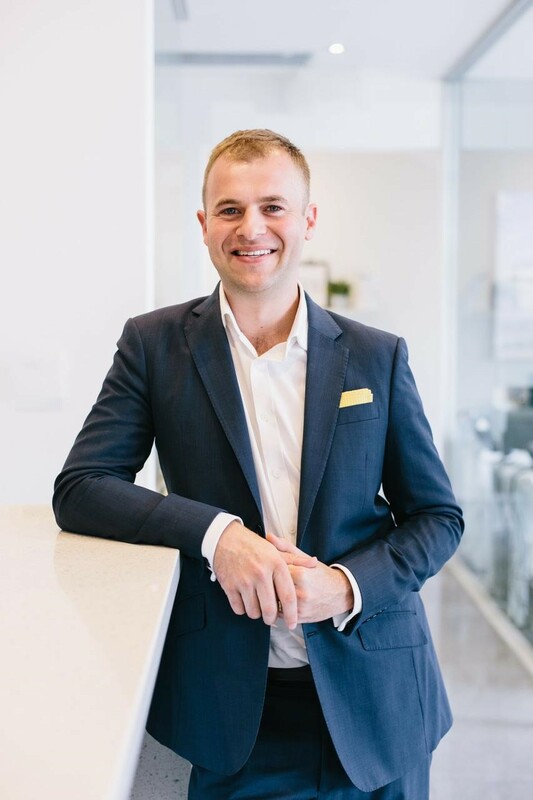 With exceptional people skills, through years of experience in the property management, sales and mortgage broking industries Michael is driven by the success of his clients. From all aspects of the decision-making process, Michael will review, confidently inspire excel and grow a business portfolio or financial plan giving you professional and thorough communication throughout the process. Rebekah Yusuf joined the Inspired Growth Training team right after completing her higher school certificate. On top of her full-time studies at school, Beck also studied Hospitality & Event Management over her final two years, which gave her Certificate 3 qualifications. After her two years of studies, Beck then took out the student of the year across the Illawarra Tertiary Education, and has now been asked to go back to the college to present on her current achievements in work. 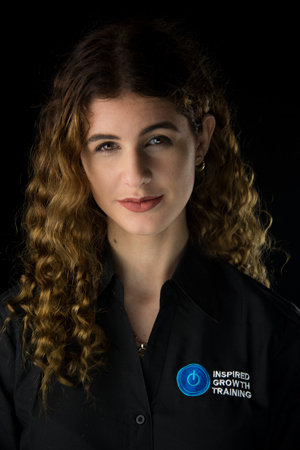 Beck joins the IGT Team with hands on experience, not only having studied event management, but also having helped organise the last 3 Inspired Growth Conferences. Becks eagerness to learn is second to none, while being fearless with her attitude, determination and hunger to become the best at her job, has been evident in her results already. Beck has taken the job on in full throttle, stepping into a position with multiple seminars, webinars and an International Conference to manage in her first 6 months in the job. Her ability to liaise with function centres, speakers and sponsors has been like she’s been in the position for years, our feedback already from clients is fantastic, even having clients ask her to teach them her steps in following them up…..just a testament to having no fear to take on an international job right out of school. 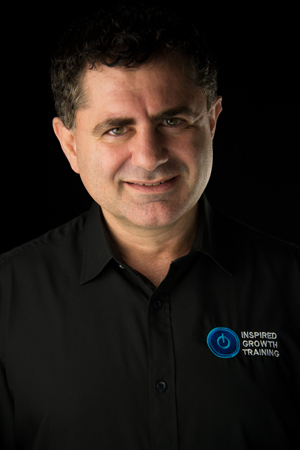 Inspired Growth Training has many events lined up throughout each calendar year, in Australia, New Zealand and the United States, and knowing we have Beck at the helm is such an important factor. Having professionalism and the right support behind the scenes for both Darren and Deniz will help continue to expand the inspiration and growth for our company. Becks focus is making the transition for anyone dealing with us, to be the best experience they can have at any real estate event.